Playing hits from the 70's thru today! Tulsa's best party band is sure to make you dance and have a good time. 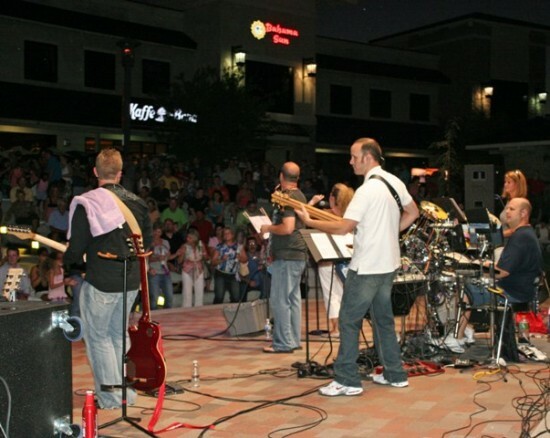 “The Outside” is a variety band that plays a mix Pop, R&B, Hip Hop and Funk with a few Rock and Country tunes thrown in as well. We can provide live entertainment for your next event no matter how large or small. The Outside were fantastic and organized from our first meeting straight brought to the wedding. 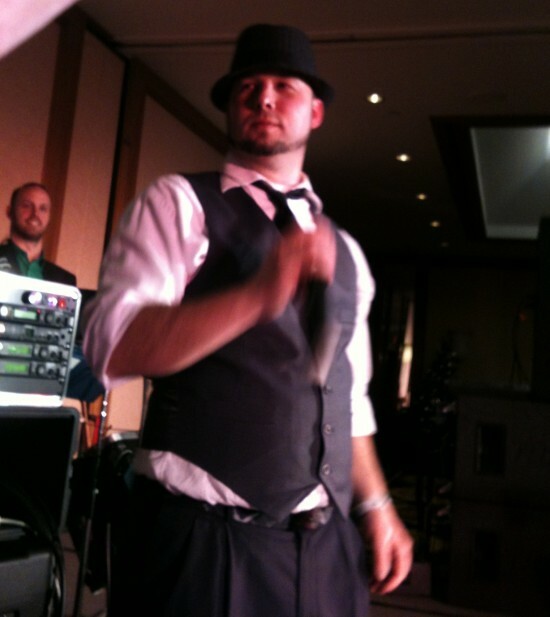 They did an awesome job MCing and the music was so good, most of our guests spent the whole night on the dance floor. I'd recommend them to anyone! We were so impressed with the Outside. They were wonderful to work with from the very start. They were incredibly cooperative with meeting our requests both outdoor and indoor. They were fun, energetic, talented, and wonderful people. Their music was exceptional. They were a special part of our wedding and we enjoyed them on our day, as did our family and friends. I highly recommend this group without hesitation! Very good covers! Crowd pleasing! The Outside is a very good band and very fun. If you get a chance to see them, you will want to know where they are playing next! You won't be disappointed in this Band ! Seen them around Tulsa area and they are always good. Music is Hot and they take it seriously! I would totally recommend them at your next event. I've heard them play a little of everything. I have seen this band on several occasions. I do not even have time to eat or drink, because I am on the dance floor the whole time. They are awesome and the crowd always seems to enjoy them. I have seen them at Christmas Parties, Birthday parties and restaurants in Tulsa. Great variety and fun for families. Love their style! Love their variety! Great Band all around! Variety mix of danceable party music! The Outside has a set list that will please everyone at the party. 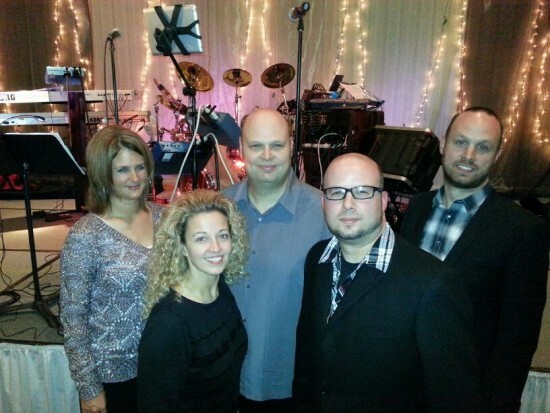 We have been playing around town for a few years now specializing in corporate/private and community functions. Some of those places were the Tulsa State Fair, Buffalo Run Casino, Double Tree Warren Place (new year's party), Jenks River Walk, Stone Canyon in Owasso and many other places and parties. While providing our own backline we also can provide our own sound and lights as needed. Fill in music in between sets. Learning of special songs that are not already on our list such as bride and grooms first dance. In certain events it is necessary for multiple bands to use the same sound equipment due to time restraints and other obvious reasons. Because the band is teamed up with the sound company Cyber Sound Audio it is not uncommon for them to allow other bands to use the state of the art sound system as needed. Contact us for more info and see how we can make your event more smooth and enjoyable. We understand every venue has its own requirements and unique challenges. You will find that we are easy to work with so please do not hesitate to contact us with any questions. Must provide flat and level covered stage area no less than 18' wide by 12' deep. Minimum of two standard 20amp circuits for the smallest of gigs.